The global economic recession had some very severe consequences in Spain. 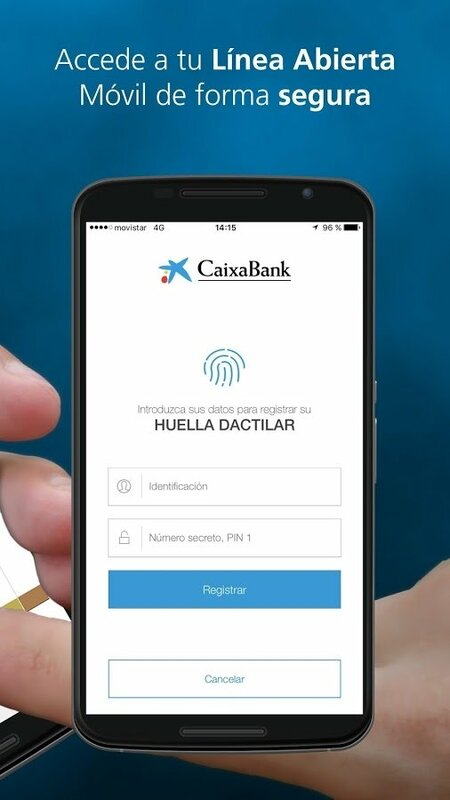 Amongst many other issues, many banks had to be rescued and some of them were relaunched as is the case of the former Caixa d'Estalvis i Pensions de Barcelona, known popularly as La Caixa. 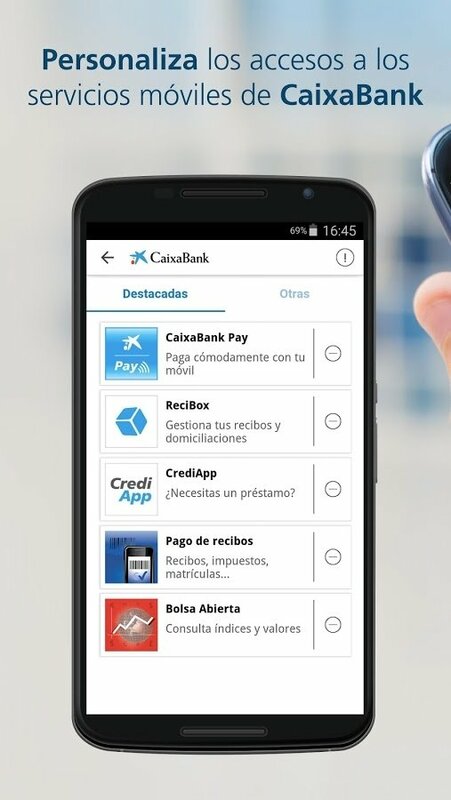 The latter became a bank called CaixaBank in 2011, leaving its former name for its foundation and social projects. 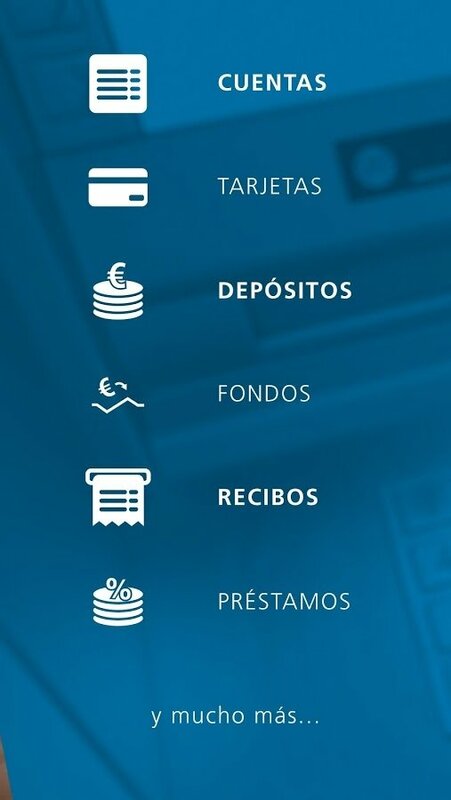 Nowadays, it's the third Spanish bank just behind Santander and BBVA, and if the Independence of Catalonia were ever to happen, it still would by thanks to changing its registered office to another region and continue operating under the protection of the ECB. But don't worry about these tiny details, you'll probably read something in the news. All your finances under control. Check movements on your debit and credit cards, and manage them in the case of losing them or requiring new ones. 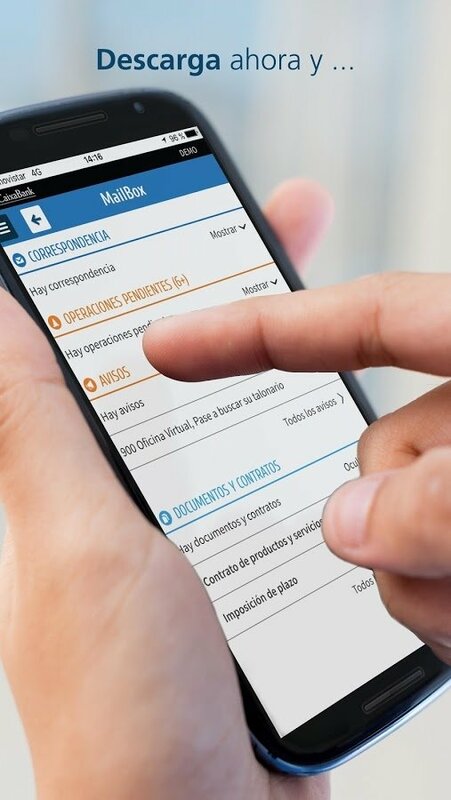 Request and manage your fixed deposits. Find the fund that suits your needs the best and control its profitability. 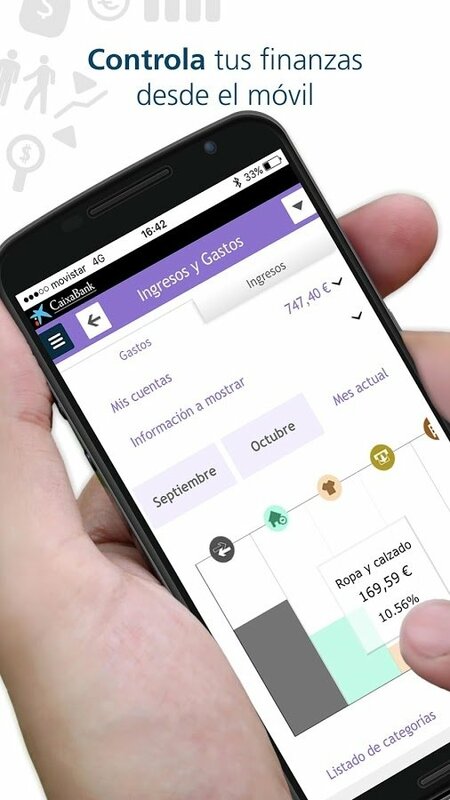 Choose a loan, including a mortgage, and manage it from the app. 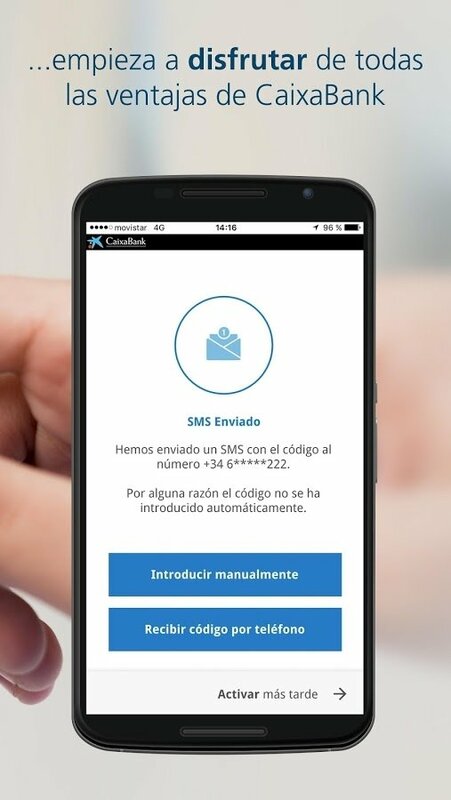 Configure your phone number to receive alerts about your accounts and cards, and recharge your credit if necessary. Do you invest on the stock market? Here you'll find information about shares so you can analyze your investment and its profitability. 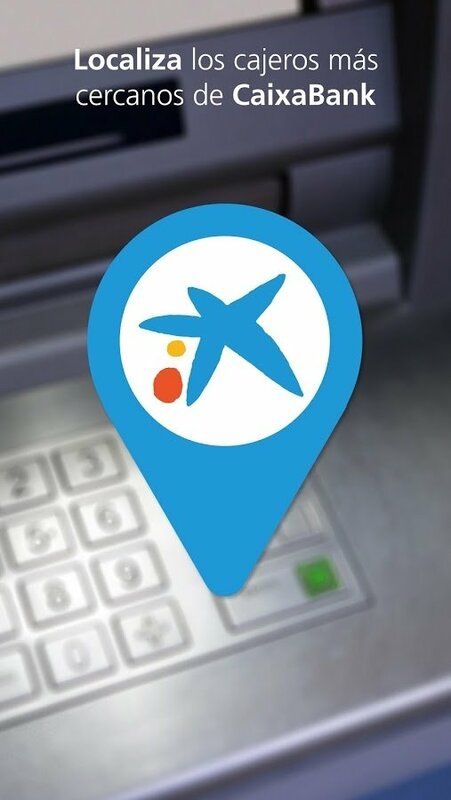 Search for nearby ATMs and offices: find branches all over the country whether in Valencia, Elche, Alicante or Barcelona. Furthermore, it offers us some additional interesting details. On the one hand, you can customize the different options to turn them into shortcuts from your phone's screen. On the other, if you drive a Ford, you can control certain aspects by means of the vehicle's voice commands. 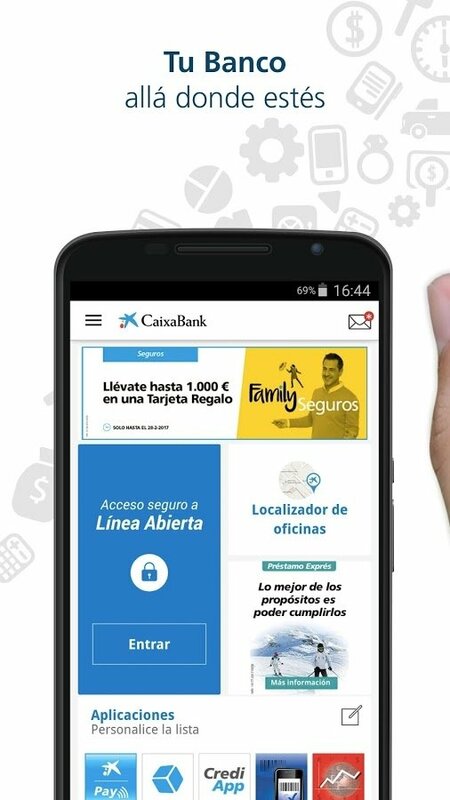 This version of the application for Android (there's another one for iPhone) is very useful for users that will be able to access any of the products or services purchased, including those belonging to Consumer Finance.